Definitely cooler than the Bolt Action Rifle Door Lock I posted about a while ago. Betcha cant do that with yer glock. why would I want to? I wouldn’t even do that to a hi-point let alone a 1911. Ugh, so painful to watch, and here I am scrounging money to save up for one. I don’t think they’re ugly, but they won’t win any awards for looks either. they just sorta are. and they’re a lot less sensitive than my 1911 and cost half as much. Some people have more money than sense. If he wanted it to be better he would have used a backstrap with a lock, and then used that to lock the slide and that would lock the gate closed. Then again, whoever did it should have just used a normal locking mechanism instead of this dumb idea in the first place. Why does everyone assume they “ruined” a *functional* gun to make that? 1911’s, being the “Harley” of the pistol world, are quite frequently subject to homebrew DIY mods, by guys that think they can clean up the feed ramp with a little Dremellin’, or think they can “tighten up” the action a little by squeezing the slide rails in a vise, or whatever. Between that sort of thing, plus most of a century’s worth of heavily-abused GI guns, worn-out parts are plentiful. Check any gun show- you can find basketloads of 1911 parts that are too far gone to use in an actual decent gun, but not quite so badly ruined they need to be thrown away. 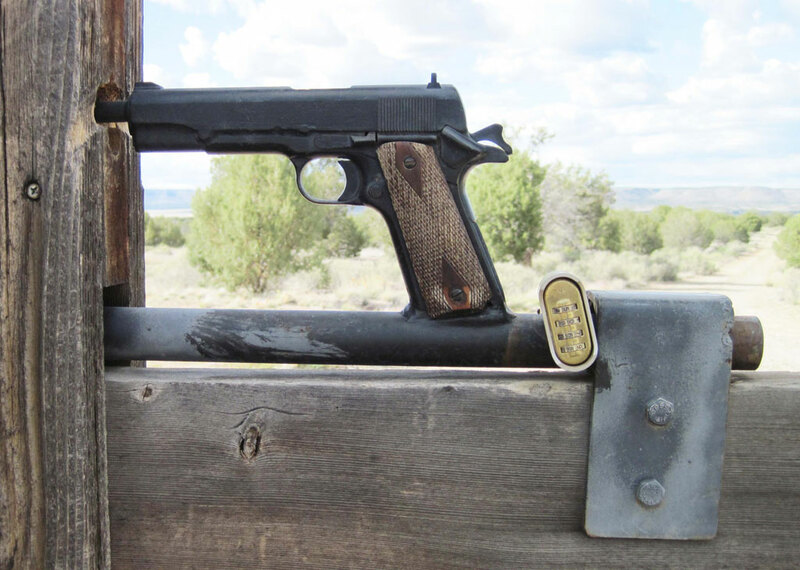 You can bet money that gate-latch gun was put together with worn-out and junk parts. The frame was probably worn, the slide probably had a crack in it, the hammer and safety are GI units and probably too worn to use, etc.